BEAST shines on "Music Bank" with "Soom"
Korean idols BEAST celebrated their first win on a televised music show with their latest song "Soom" over the weekend. The six-member boy band, who gave their comeback performance just last week, beat out girl group 2NE1 on KBS' Friday music program "Music Bank" with their title track "Soom" from their third mini-album "Mastermind." "We want to return this honor to the people at our agency who have always been working hard for us and our families," the members of BEAST said in their acceptance speech. Twenty singers including star idol singers sang a song together to commemorate the G20 Seoul Summit. The song, entitled “Let’s Go,” was produced by the famous music composer named “Tiger in Shinsadong,” and singers including Joon Soo (2PM), Chang Min (2AM), Sung Min (Super Junior), Seo Hyun (Girls Generation), Jong Hyun (Shiny), Park Kyu Ri (Kara), Ru Na (f(x)), Ka Hee (After School), Heo Ka Yoon (4MINUTE), Yong Joon Hyung (Beast), Min (MissA), Gio (MBLAQ), Song Ji Eun (Secret), and Kim Jae Kyung (Rainbow) participated in singing the song in a chorus. Singer and actress Park Jeong-ah says she feels burdened about acting opposite actors younger than her. Park plays an anchor in the new KBS daily drama "Smile, Donghae." On "Happy Together Season 3" on KBS 2TV on Thursday, she said she forms a love triangle with actors Ji Chang-wuk and Lee Jang-wu, who are both 5 to 6 years her junior. Interest in the new KBS2 series “The Fugitive: Plan B” is increasing after a kissing scene of two stars in the fourth episode. 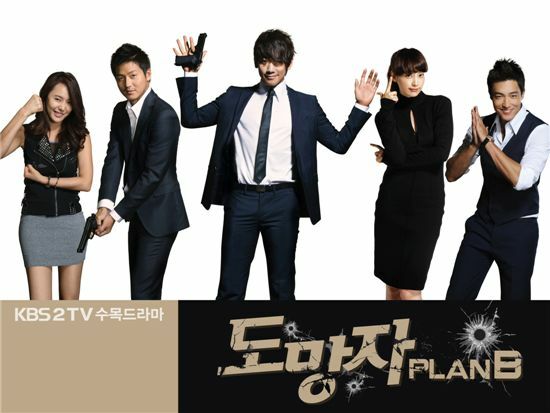 In the October 7 episode, Gee-woo (Rain), a private investigator, reunites with Ji-ni (Lee Na-young) -- who hired him to investigate who is behind the murder of her parents -- at an airport to leave Japan after the two escaped the danger of being caught by some mysterious agents. 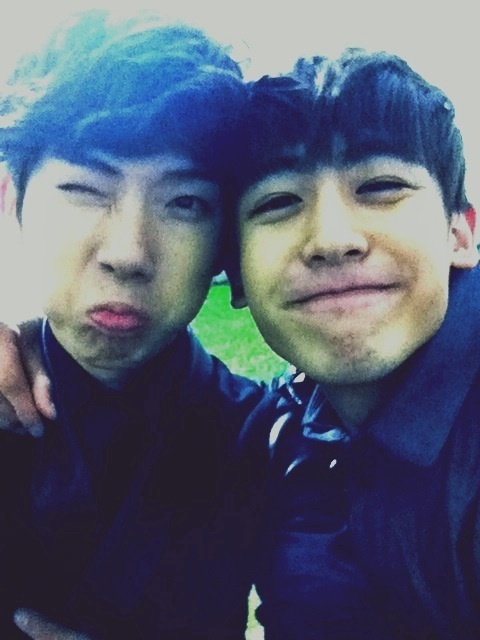 On Wednesday, the 22-year-old singer uploaded the photograph of himself winking with his cheeks puffed out and Nichkhun smiling with his arm around Jo Kwon's shoulder with a comment underneath saying, "I am good friends with Khun '-'* have a good day=3." Brown Eyed Girls' member Ga-in unveiled the full-length music video for her debut solo song earlier today. The official music video of the title track "Irreversible" as well as the tracks from her solo album "step 2/4" were released on various online music sites. Korean female idols JQT will promote themselves in Asia, starting with a showcase in Cambodia this month. A press release from their agency GP Entertainment announced that Cambodia's music retailer Sabai.com invited the girls to the country to hold a showcase on national TV station TV3 from October 21 to 24. 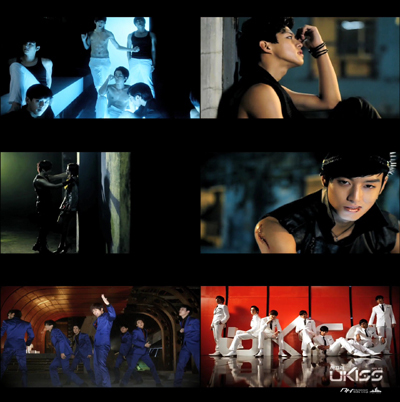 U-Kiss reveals full-length music video for "Shut Up"
Korean idol group U-Kiss have revealed the full-length music video for their title track. 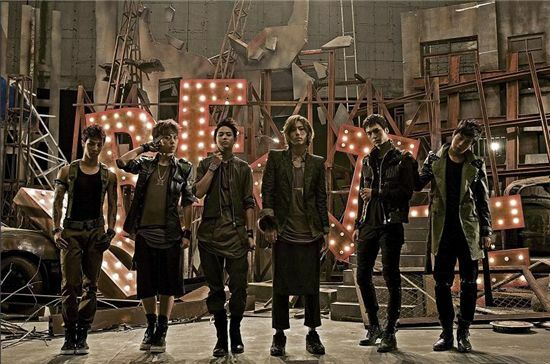 The official music video of the title track "Shut Up" from their fourth mini-album "BREAK TIME," which was released on October 5, was released on the group's official YouTube channel yesterday. 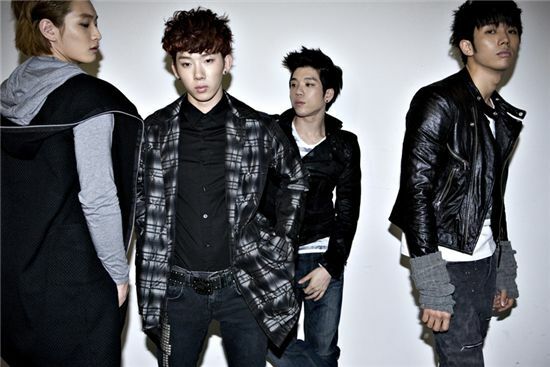 Korean boy band 2AM will release their first full-length album this month, according to the official website of the boy's record producer and promoter Big Hit Entertainment on Friday. Record producer Bang Si-hyuk (also known as Hitman Bang) posted a message on the website, revealing plans regarding 2AM's upcoming album release on October 26. BEAST releases footage from music video set for "Soom"
The video features footage of BEAST members Yoon Du-jun and Son Dong-wong making the staff laugh through impersonations as well as Yo-Seop pretending to be a model on the set of their music video of "Soom." 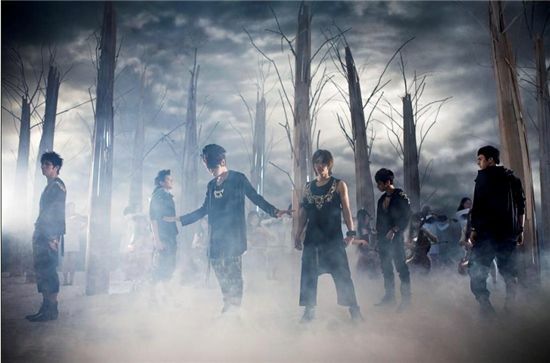 The six-member boy band recently released their third mini-album "Mastermind" and will promote the title track "Soom" on various televised music programs. Korean idol Kim Hyun-joong will be watching the final episode of his drama with his fans, according to his agency KEYEAST on Thursday. KEYEAST announced through a press release that Kim has planned a special event, where he will watch the finale of MBC’s “Naughty Kiss” with about 2,000 fans at the Dome Art Hall located in the Childrens’ Grand Park on October 21. 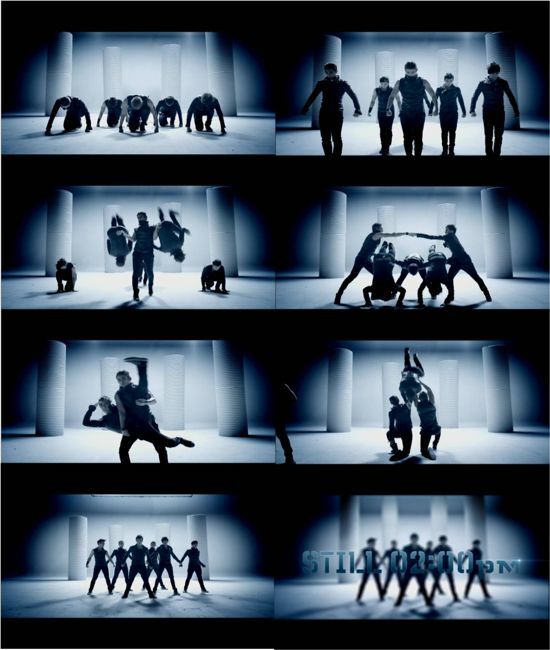 A video of the boys dancing, which revealed the name of their new album "Still 2:00 PM" at the end of the clip, was revealed on the group's official website (www.2pm.jype.com) and YouTube channel (www.youtube.com/2pm). 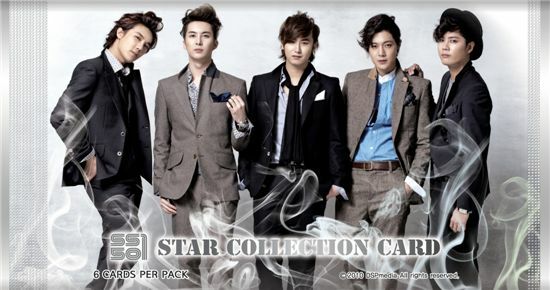 A collection of cards featuring photographs of Korean boy band SS501 have gone on sale in Korea, according to a press release from the card's creator SBS Contents Hub on Thursday. SBS announced that the cards titled "Star Collection Card," which went on sale on online shopping mall GMarket last weekend, will also hit stores on October 12.